And we do hereby, for us, our heirs and successors, grant, declare, and appoint that all provisions of the Charter, Bye-Laws, and Ordinances as to education, examination, and granting diplomas to Fellows or Licentiates shall extend to include women. Thus runs Article 14 of the College’s Second Supplemental Charter, granted by Queen Victoria in 1885. 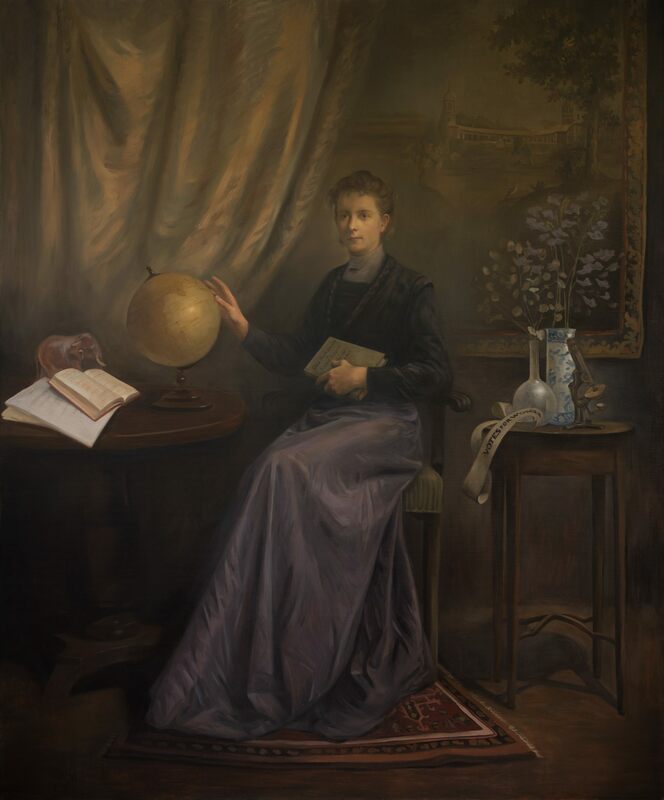 Mary Josephine Hannan was not the first woman to study at the RCSI; that was Agnes Shannon, a Chemistry student who did not finish her studies. Nor was Hannan the first woman to be awarded a licence by the College – that was Mary Emily Dowson, who had previously studied at London’s School of Medicine for Women. But it is Hannan’s distinction to be the first woman who both studied at RCSI and obtained her licence there. Hannan was born in Dublin on 26 January 1859. Her father, Benjamin Bloomfield Hannan, was a senior official at La Touche’s Bank, which was based at 14 Castle Street, and this was also the Hannan family home. Records suggest that her mother, Grace (née Ingram), was born in South Africa, daughter of a merchant from Cork; she died of complications following childbirth in 1863, when Mary Josephine was four years old. Three years later, Benjamin Hannan married a widow, Sophia Evatt (née Bayly). It is not clear when Hannan père relocated to England – possibly as early as 1878. He died in London, aged 84, in 1900. Mary Josephine Hannan began her medical studies at RCSI in November 1886, aged 27. She signed the Roll of Licentiates on 29 July 1890. (In this she was following in the footsteps of her eldest brother Francis, who had received his licence from the College in 1871.) Hannan gave her address at that time as ‘Riverstown, Killucan, Co. Westmeath’, the home of another Benjamin Hannan, a miller, and probably a cousin of his banker namesake. Also in 1890 Hannan became a licentiate of the King and Queen’s (subsequently Royal) College of Physicians of Ireland. Her first appointment was at the Rotunda Hospital and about this time she also served as a medical advisor to the Salvation Army. In January 1891 the Times of India announced that Hannan was ‘selected to proceed to India as the first lady doctor “in waiting”’, and by October she was in charge of the Dufferin Hospital at Agra, one of a number of Dufferin hospitals founded with the specific aim of improving healthcare for women. From Agra, Hannan proceeded to hospitals at Kota, Alwar and Shikarpur (the last now in Pakistan). Two photographs of Hannan survive from this time (Sourced in the Wellcome Library). In 1903 Hannan reversed her mother’s route and left Ireland for South Africa, settling initially in Pietermaritzburg and later in Pretoria. In 1905 she was a member of the General Committee of the South African Medical Congress; she also served as medical officer to native women and lectured in midwifery at the Victoria Maternity Hospital, Johannesburg (1914 – 1921). The 1918 Medical Directory records that she spent a period associated with the medical section of the Union Defence Force. That same year Hannan, an enthusiastic member of the Women’s Enfranchisement League, was taken to court for refusing to pay what she called a ‘super-bachelor tax’ which applied to unmarried women but not unmarried men. For her efforts, a newspaper article described her as a ‘champion of the unmarried ladies’. Hannan also started the Girl Guide movement in Pretoria, becoming a well-known figure in the movement. Hannan’s particular fields of interest were paediatrics and dermatology, and in the early 1920s she continued to educate herself during stints in London, Paris and New York. In New York she was much influenced by the Child Health Organization of America, drawing on its principles and publications for her Handbook on child health education and kindred subjects for South African parents and school teachers (1924). [i] She also published a number of articles on public health in newspapers and magazines. Mary Hannan in her life played many parts but her most useful and let it be added most characteristic role was that of a medical woman who had a deep interest in her calling, and was ingrained with a passionate devotion to truth. A strong character, her outspokenness and her contempt for everything that savoured of dishonesty created enemies for her. She was not afraid to criticise prominent politicians… In some ways she was leavened with the missionary spirit, though her strong fund of common sense, and her appreciation of the humorous, made her less aggressive and one sided than she would otherwise have been. [i] Handbook on child health education and kindred subjects for South African parents and school teachers (Cape Town and Johannesburg: Juta & Co., 1924). Hannan writes: ‘I have been actuated to prepare these two little handbooks, for the use of South African Parents and Teachers, by personally realizing the benefits and advantages [of] American experiences, from faithfully following the plans which I have herein set forth, and which I have culled from a generous supply of literature given me by the Secretary of the Child Health Organization of America, when I was in New York last year’ (‘Preface’).